The march across France continued this week, with the author of the Gesta Henrici Quinti reporting that the army had reached Eu, on the border of Ponthieu, on 12 October. Some chronicle accounts state that the townspeople sallied out from Eu to confront the English, but the pay records of the English army do not mention any casualties at this time. The inhabitants of the town, as at Arques, decided not to offer any prolonged resistance to Henry’s army, however, with terms being agreed on 13 October, which gave the English supplies. Later the same day, the army marched towards the river, intending to cross the Somme at the ford at Blanchetaque. 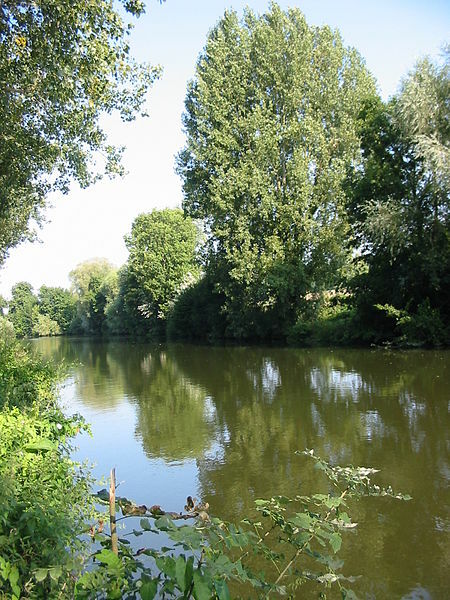 This was the same location where Henry’s great-grandfather Edward III had led his army across the river, in the face of French opposition, prior to the battle of Crécy in 1346. But in 1415 the English decided against risking a crossing at Blanchetaque, believing that there was already a large French army on the other side. Some French troops had been shadowing the English across the pays de Caux and had arrived already in Abbeville. 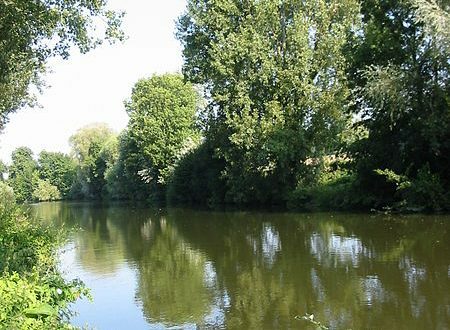 Henry knew that attempting to cross the river would leave his army exposed and therefore decided to march along the south bank of the Somme in search of an undefended crossing point on the river. This proved to be difficult as the French were determined to block their passage by destroying bridges and guarding fords. As a result the English were forced to make a significant detour by following the course of the river upstream. The army began to run low on food, with the ability to live off the land hindered by the French who deliberately wasted the territory to deny it to the enemy. The English army avoided the city of Amiens by marching southwards to Boves on 16 October (3 miles to the south-east of the city), whose inhabitants negotiated a settlement with the English, which included the provision of food. The following day a skirmish occurred outside the garrisoned town of Corbie, with the English able to drive off the attackers. Following this the army moved south-eastwards towards Nesle. French forces were gathering to the north of the river and shadowing Henry’s move. A surviving French battle plan (mostly likely dating from mid-October) reveals that the French intended to engage the English on ground of their own choosing. This document states that the French army would be organised into two battles of dismounted men-at-arms preceded by companies of archers. Cavalry were also due to be placed on the wings of the battles with the intention of driving off the English archers. The Gesta tells us that Henry had gained the information from French prisoners but it is interesting to speculate that the actual battle plan had fallen into his hands!